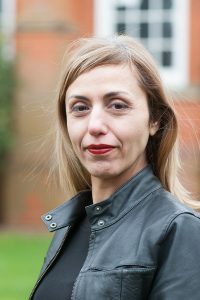 In recognition of Dr Yota Dimitriadi’s outstanding contribution to her field, the Higher Education Academy (HEA) has just appointed her as a Senior Fellow. This follows Head of IoE Dr Catherine Tissot’s recent appointment as a Senior Fellow by the HEA and IoE colleagues, Dr Alison Silbey and Ilan Dwek being awarded Fellowships of the HEA. Being promoted to Senior Fellow is a significant honour: very few Senior Fellowships are awarded each year and the distinction carries international recognition. Senior Fellowship indicates a high level of esteem for Yota’s work in her field. Yota, Catherine, Alison and Ilan’s route to their awards lay with the University of Reading’s FLAIR CPD scheme; an internal accreditation process that enables experienced staff to gain professional recognition for the work they do in teaching or supporting learning. An independent, charitable organisation, the HEA is the UK’s national body that champions teaching excellence around the globe. It works with governments, universities and academics to nurture teaching excellence in higher education.